As I strolled the streets of Chelsea one chilly Saturday morning, I noticed a sidewalk ad - literally, stenciled on the sidewalk. Huh, I though, gorilla marketing takes a twist. But why did I notice this ad that blends in with old bubble gum and uses the most basic of color pallets? I realized it was because I was on my smart phone! With 50%+ global penetration of internet usage, largely driven by smart phones, the sidewalk has become better marketing real estate than a 40 foot billboard by the highway. Second world cities have beat first world marketers to adapting to this monumental change in consumer behavior - the text neck. 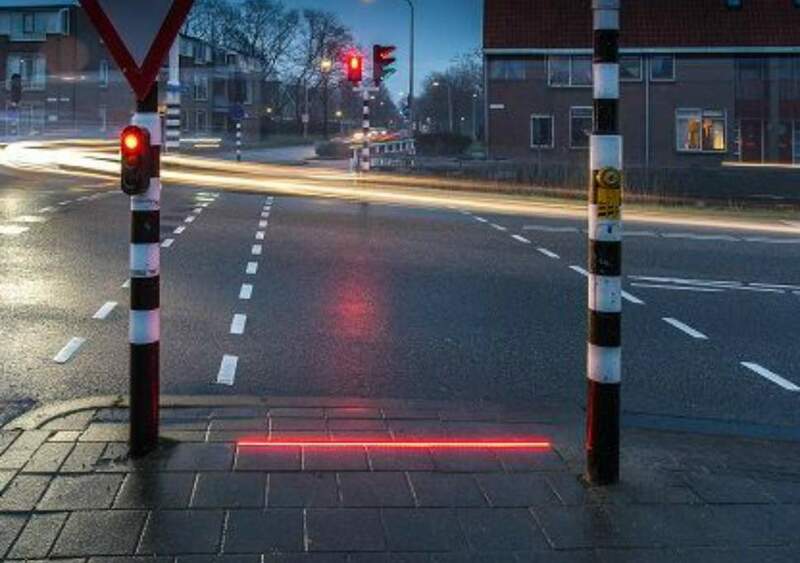 In Santiago, the cross walk lights are built into the curb cuts now. 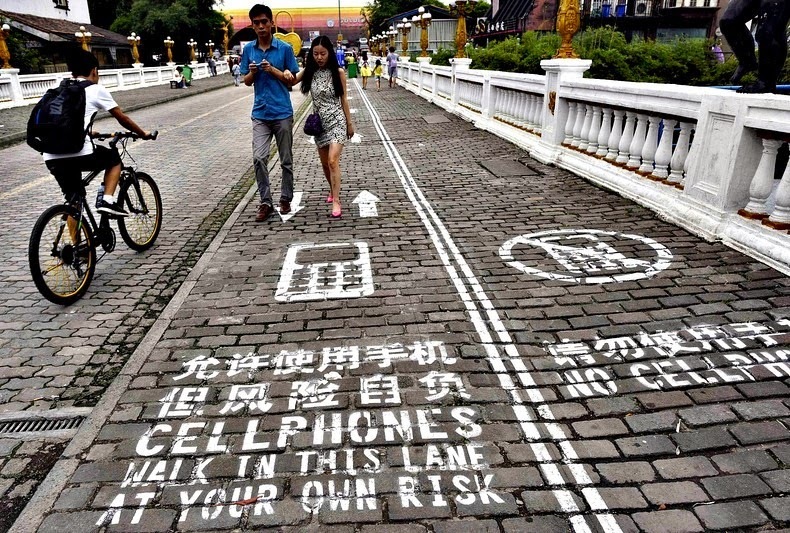 And Chinese city Chongqing has set up "no phone" pedestrian lanes, so fast and slow walkers are equally accommodated - something I'd love to see rolled out in Herald Square. Next time you are out and about, make sure you watch where you are going.